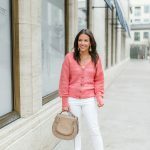 ← Versatile to a T + GIVEAWAY! 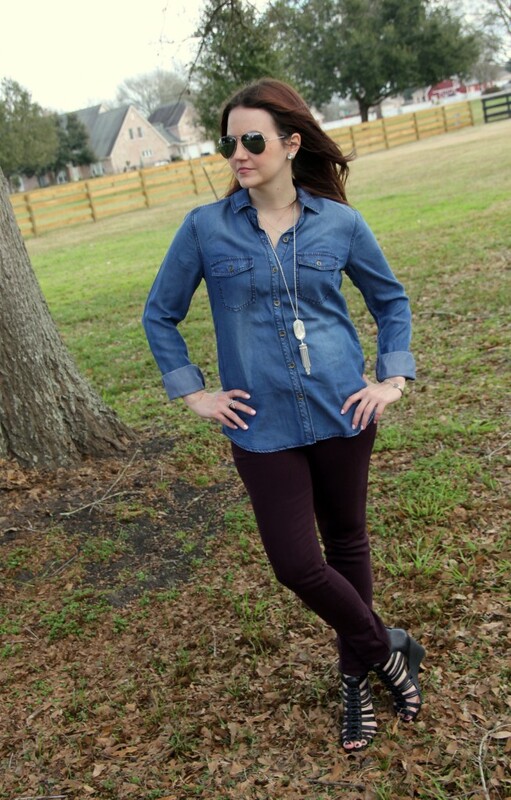 8 Responses to Chambray for the Win! 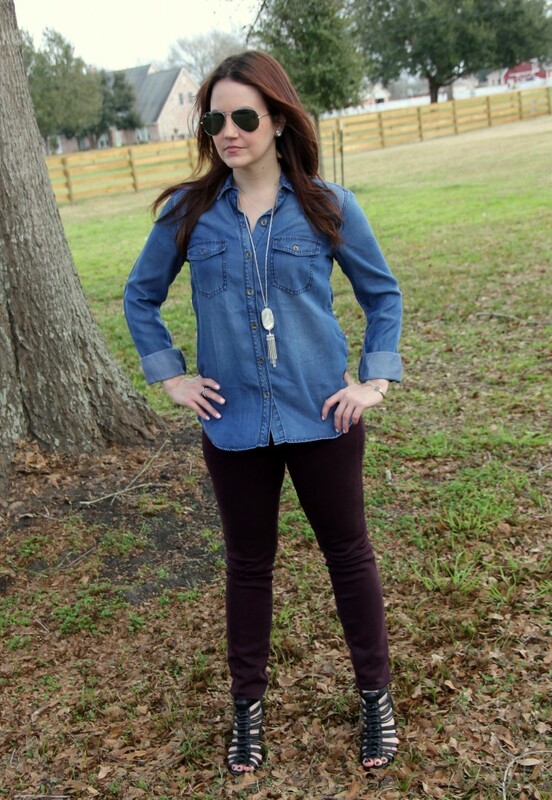 I love the chambray and oxblood pairing! So classic but so gorgeous! 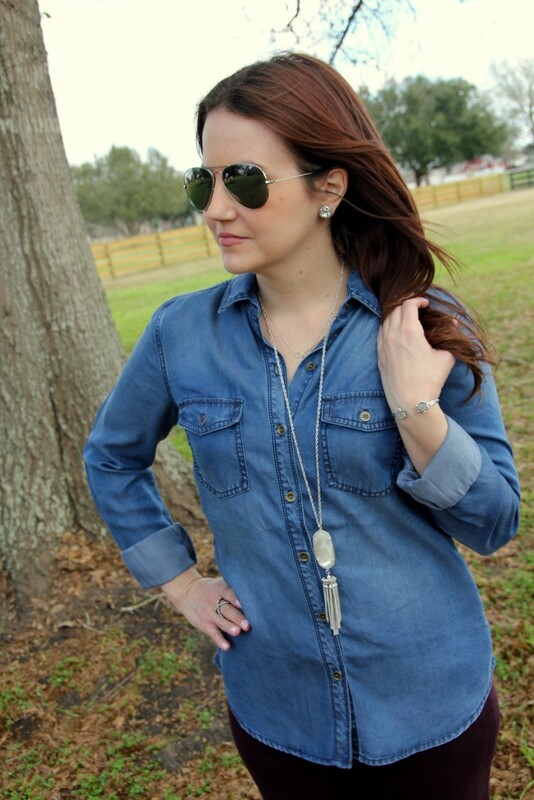 I so need a chambray shirt and this one is fabulous! 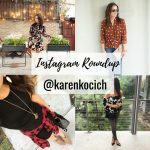 Thanks for linking up with FUN FASHION FRIDAY! 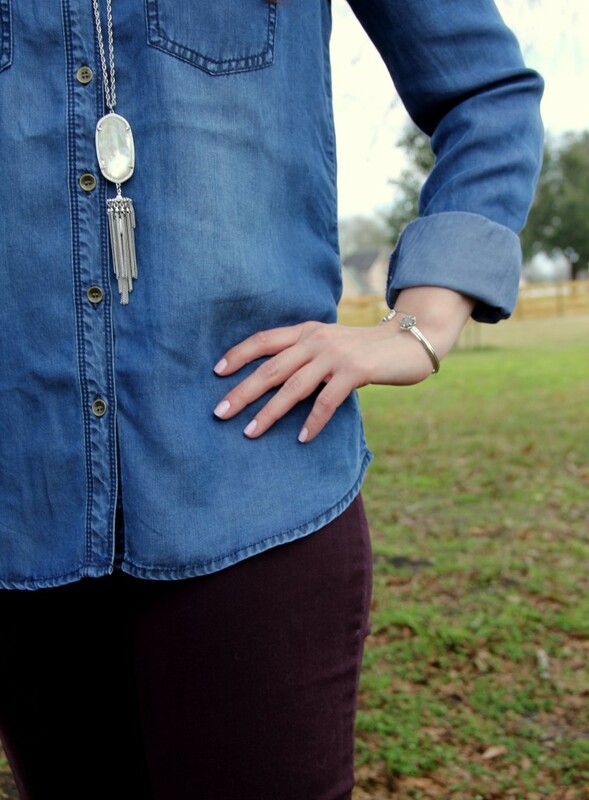 Absolutely love the chambray! I really need to just bite the bullet and iron mine more often, it gets so darn wrinkly and then I never wear it. 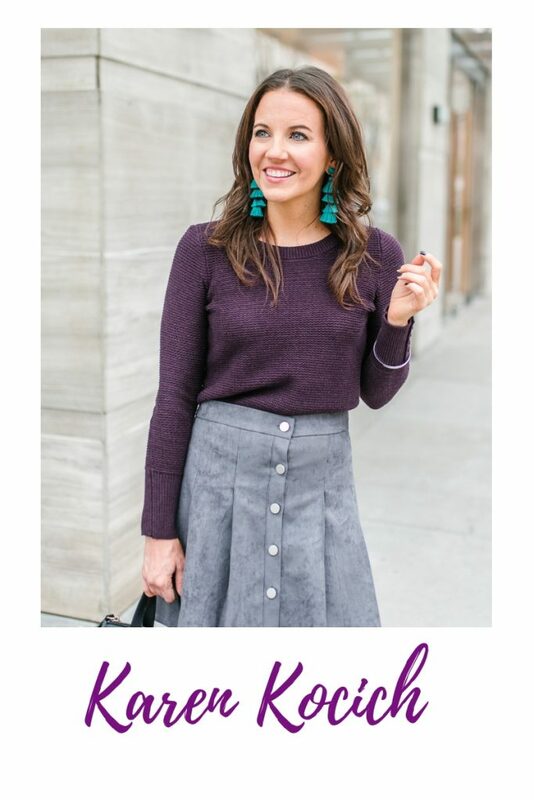 I love that you paired it with coloured jeans too, I can’t wait to try this combo! 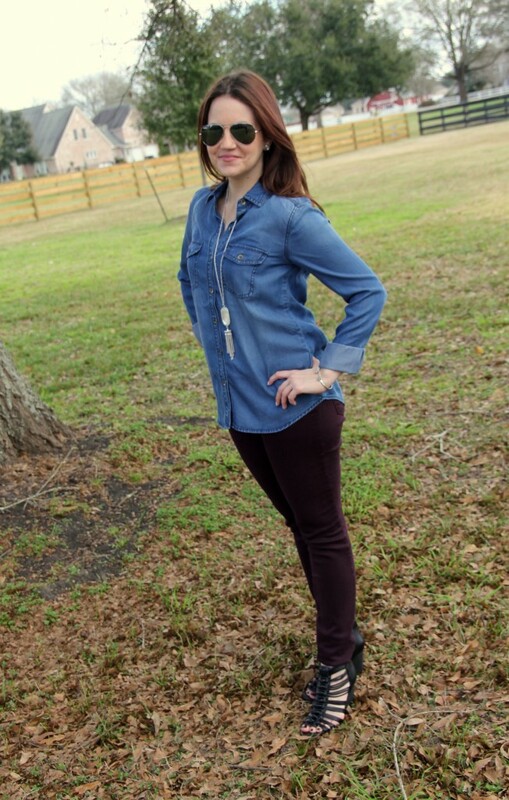 xo Came by from Reviews Chews & How Tos Link Party, so glad I found your blog! 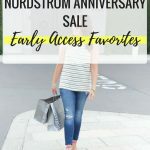 I can use as much fashion help as I can get! 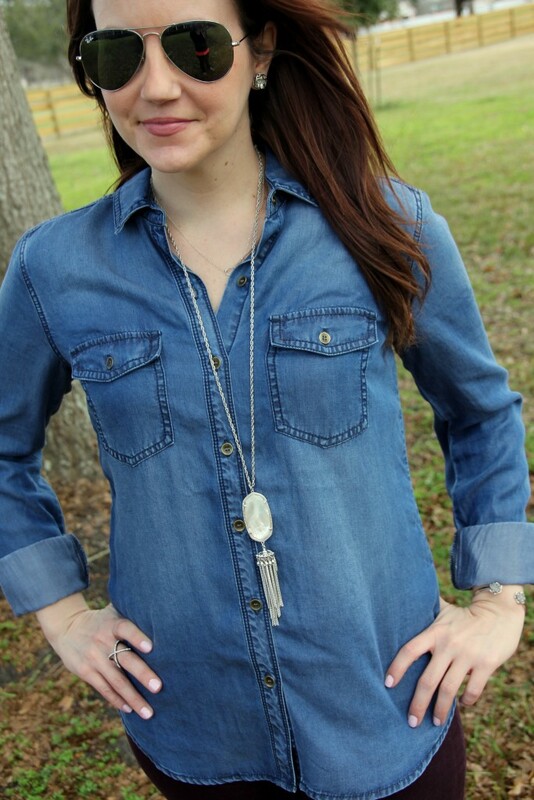 I have the Halogen chambray in the lighter shade and I love how soft the fabric is. 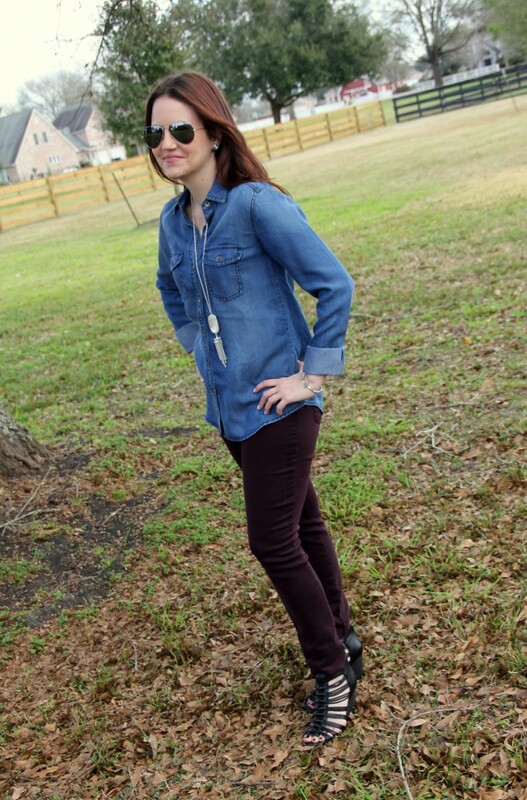 It looks great with the plum color jeans! Those shoes are amazing!